One of the features of 2015 was the spread of college protests over systematic racism on campus and beyond. At some of these schools, as well as in other parts of the country, students also protested the many affiliations their schools had with the old Confederate South, whether with a building named after a confederate general or a statue of a man known to have held racist beliefs. Students at Princeton University took up arms over the racist legacy of former president Woodrow Wilson, calling for the removal of his name from campus buildings. Other students felt that despite Wilson’s seemingly racist beliefs, his legacy was an important part of the overall history of the institution. Whether as an act of political correctness or in the spirit of promoting equality, it seems the urge to erase indications of America’s racist past (and present) has also taken hold of the Orange County Historical Museum in North Carolina. The museum has removed the words “Confederate Memorial” from its edifice to avoid confusing patrons into thinking the building is in some way dedicated to the history of the Confederacy. Instead, the museum is focused on the history of the county, though the name would not reflect that, according to museum officials. 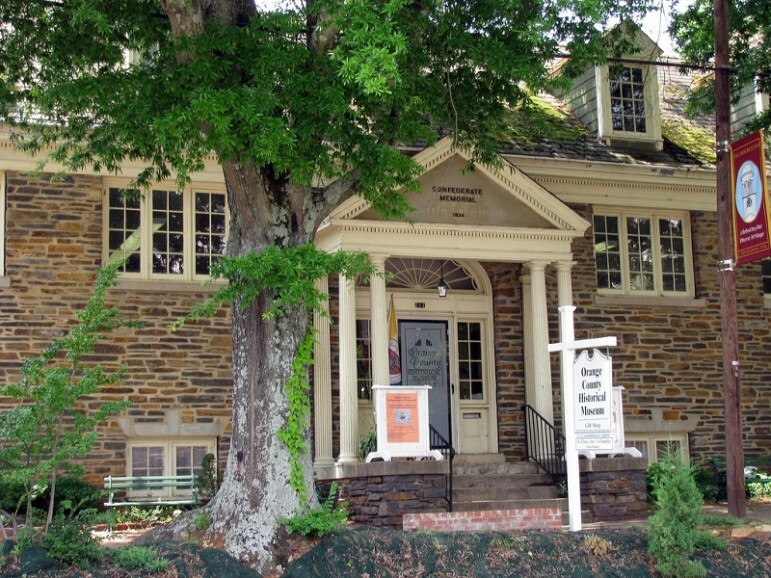 The building in fact does have deep roots in the Deep South; it used to house the whites-only Confederate memorial public library. When the museum took over the building, the words “public library” were removed but the full name was never completely altered. While the request to remove the lettering was approved for this past fall, according to local papers, some in the community revolted. Instead of completely removing the words, and with them any indication of the building’s sordid past, town officials intend to maintain a sign outside the building with “information about the building, as well as other historic events on the property, including the North Carolina Constitutional Convention of 1788.” Much like some students at Princeton University, some members of the community in Hillsborough felt that this part of the state’s history, unsavory or not, must be preserved. This wouldn’t be the first time a North Carolina community experienced these tensions. The University of North Carolina also recently renamed Saunders Hall as Carolina Hall after an appeal from students. The building’s namesake, William L. Saunders, was a colonel in the Confederate Army during the Civil War.